1. Why do I write what I do? I love romance. Short and sweet, it’s what I read and what I write. I particularly love historical, contemporary and paranormal romance. I write paranormal. 2. How does my writing process work? It always starts with an idea–and don’t ask me where they come from. Then I almost immediately dismiss it. If it comes back, with a suggestion for how it’d work into a book, then I listen and write it down on a note. Eventually, I’ll flesh it out, consider characters and go from there. I tend to take one step forward, then two back. I find that I get a plot going, then think something is terrible and have to fix it. Start writing then find a scene doesn’t work and have to rewrite it. Until, little by little, the entire thing is written and I can edit. Hm…Little known fact about me, I have a university degree in math. I think it helps me see patterns and symmetry. I really like circular ideas too. 4. What am I working on at the moment? 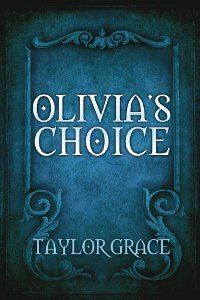 I’m working on editing those nasty extra words and superfluous comas in Olivia’s Choice and first-editing on Amy’s Choice. I’m also chewing over an idea I have for the next book or two. I just have to make up my mind about where I want to go next. Give the nominated blogs and our nominator a visit—See what answers they’ve come up with!